It’s pumpkin patch season! 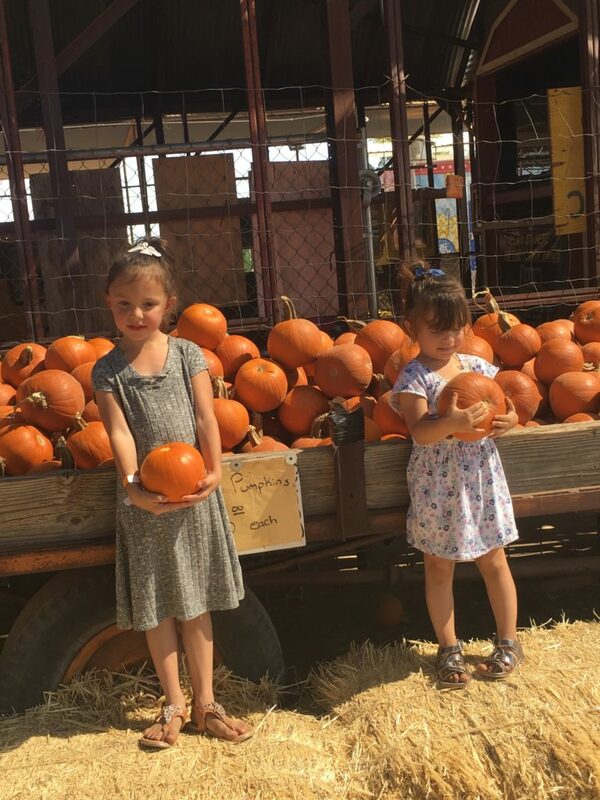 One of our favorite things to do in the fall is visit any and all fall festivals/pumpkin patches around the area. Each year, we try to go to at least two during the season, and then I share about them with you all on here. 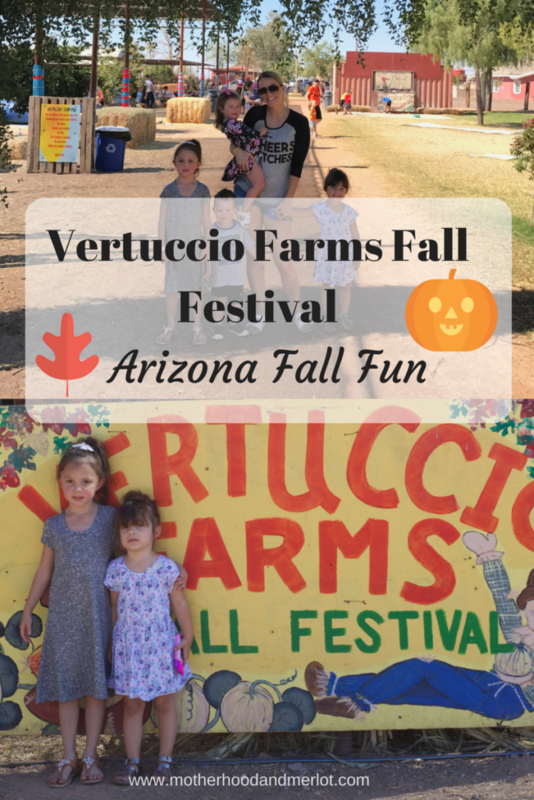 This year, we started out by visiting Vertuccio Farms and their Fall Festival. You guys… it did not disappoint! My kids are seriously as obsessed with fall as I am now, and they had a blast on our visit there. 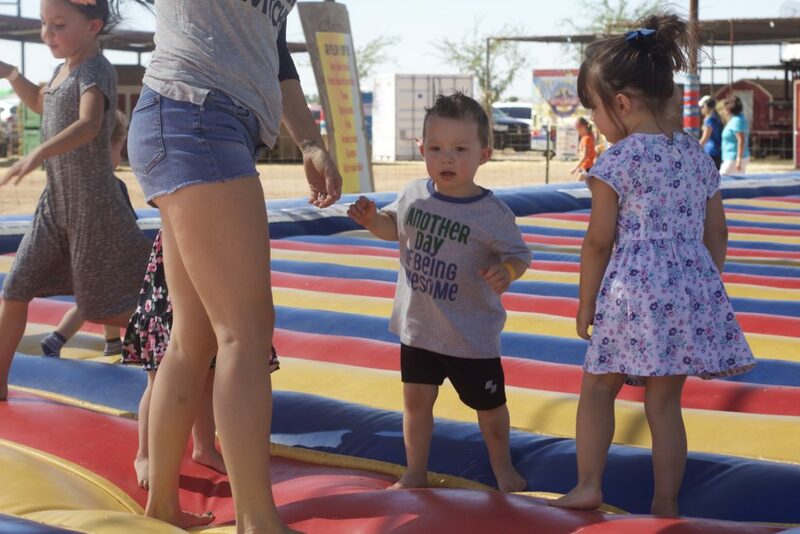 It is located out in Gilbert, AZ, and it has a ton of great activities for kids who are elementary age and younger. *I was gifted tickets to this venue by the venue owners. All opinions about the venue are my own. They had a huge variety of things to climb on and play on as well. 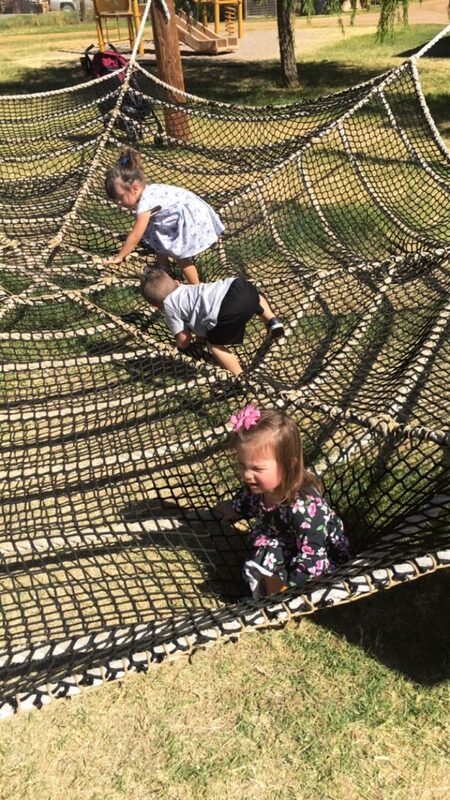 Big tube slides, a spiderweb that they could climb all over, and swings also. They had a corn maze for little ones, and huge tires for them to climb all over and get their energy out (mine slept the entire way home!). 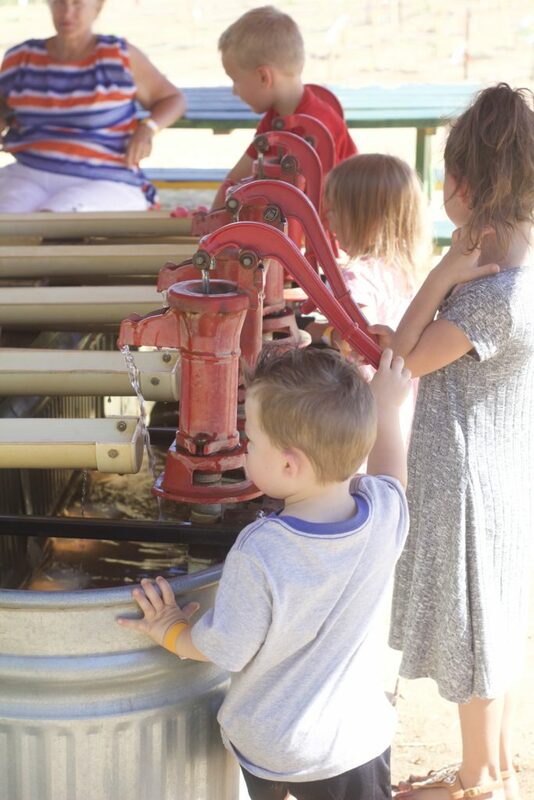 They had a lot of sensory and learning activities as well, like this one where the kids pumped water to push the duck down. My 2YO twins loved this! 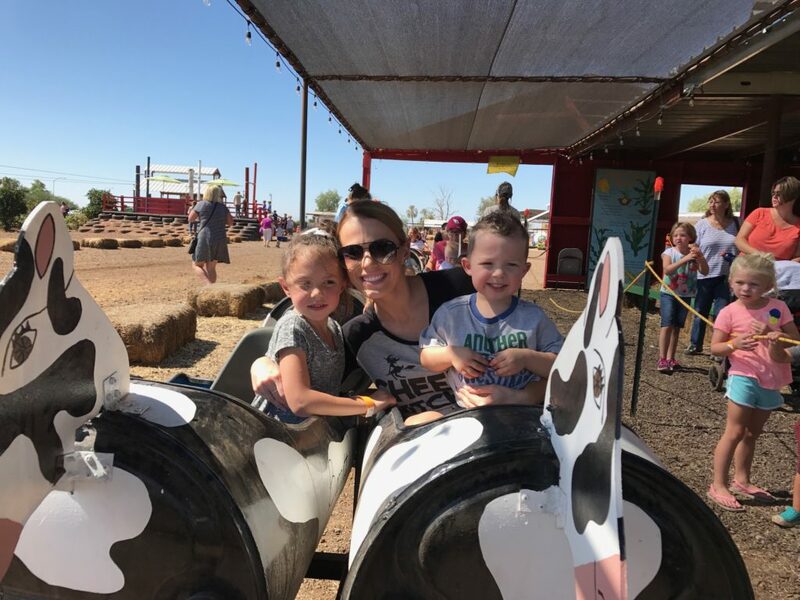 The fan favorite with all of my kids was the little cow train that they had. They put their hands up around the corners like a roller coaster, and were giggling the entire time. One ride on this is included in the ticket price, and then you can purchase more rides if you want to do so for $2 a piece. The one thing I wish they had more of was fall food and drinks within the festival, because the options for lunch were a little sparse. Although, their farmer’s market next door did not disappoint! They had some amazing finds in there, from local honey to canned peppers and jams… I honestly can’t believe I didn’t buy more. Overall, it was a ton of fun! It was decently priced and there were a ton of activities there. Their fall festival runs until early November, so go visit soon! To purchase tickets are to see more information on Vertuccio Farms, visit their website here. Check out more of our favorite fall activities for kids and families here! This looks like so much fun! That spiderweb looks awesome! We loooove pumpkin farms in the fall! That spider web looks super cool, I bet my twincesses would love it! This looks like you had a blast! I adore pumpkin patches. I love this time of year. It looked like they had a great time!